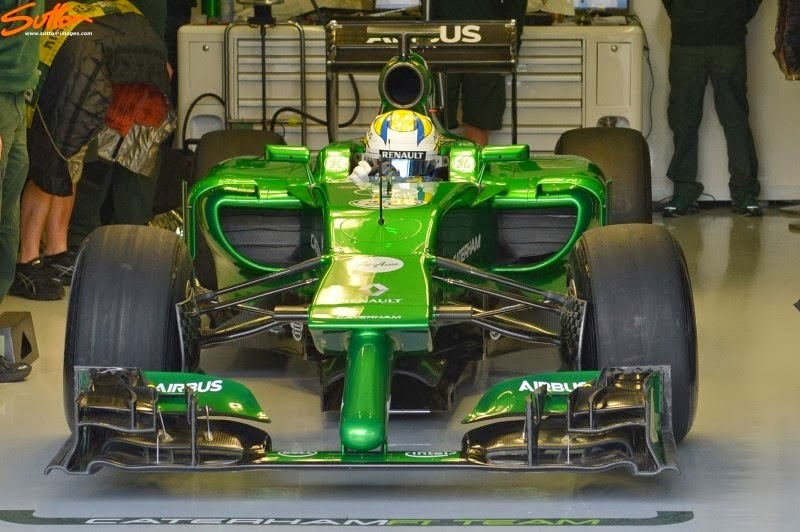 The CT-05 certainly wasn't going to win any style awards when the team unveiled the car at the start of the season (above), with perhaps the most hideous intepretation of the 'finger' nose on the grid. Their latest design however is much more aesthetically pleasing but more importantly may unlock some further aerodynamic potential in the car. 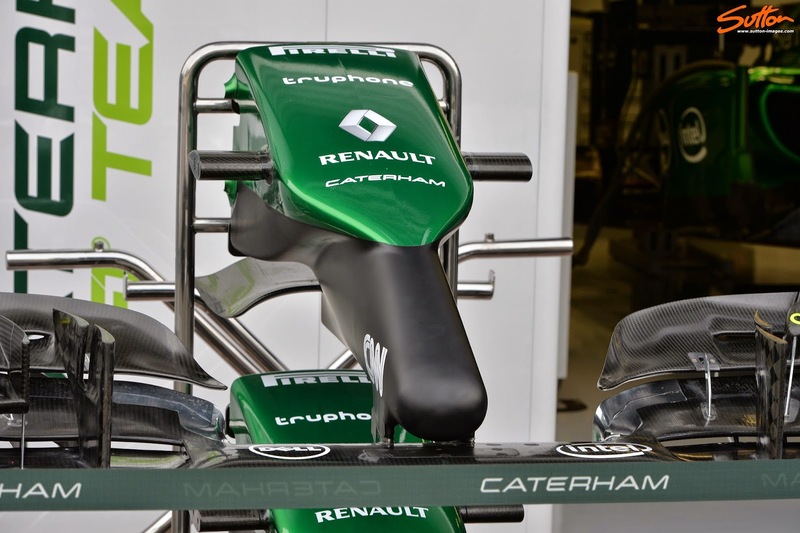 The more svelt vanity panel section above the finger extension is reminiscent of the Sauber C33, but unlike Sauber the team haven't used conventional connecting pylons but instead use much shorter ones, connected to the lower part of their nose. As only the upper section of the nose has been altered and not the structural part it's unlikely the team performed another crash test. In terms of aero the old nose was an extreme attempt at retaining the high nose seen prior to the new rules, in an attempt to drive airflow on mass under the car. However quality trumps quantity every time and so the new design, although seemingly more conservative will likely yield better results downstream.